When putting together your compliance plans for ASC 842 and IFRS 16, it is important to understand that solutions for real estate leases vs. equipment leases require very different features and capabilities. Real estate leases tend to include specific issues such as tenant improvements, utilities, triple-net expenses, sub-leasing contracts, space utilization tracking, taxes, etc. that are not applicable for equipment leases. On the other hand, equipment leases have a myriad of potential factors that need to be addressed by lease accounting solutions including, service contracts, maintenance schedules, trade-in options, utilization tracking, re-sale value, etc. Although the compliance requirements specified in the new standards apply to both real estate and equipment leases, the processes for managing and accounting for these leases need purpose-built solutions. Some people compare it to choosing the correct bicycle for your planned route. You wouldn't attempt to navigate a rough mountain trail in a road bike any more than you'd choose a mountain bike to compete in a road race. Matching the solution to your needs is the best way to achieve success. That's one reason that, at Bramasol, we have developed deep expertise for implementing and supporting two purpose-built, best-of-breed, feature-rich solutions: SAP Flexible Real Estate Management (RE-FX) and SAP Lease Administration by Nakisa. As part of our overall lease administration and accounting initiatives, we have also developed detailed processes for compliance and disclosure reporting for ASC 842 and IFRS 16. 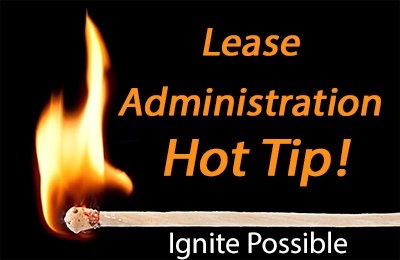 Click here to learn more about Bramasol's Lease Administration solutions and services.